Ask a friend to name a wine region in France and, if it’s near the New Year, you’re likely to get the response “Champagne.” If he has a bulge from the money in his wallet on the inside pocket of his jacket, he might refer to a Premiere Crus Chateau in the Medoc, or perhaps Burgundy. If she spent time in France, perhaps she would say “The Loire.” Or, with the craze of Rose wines still smoldering from the summer’s heat, she might say “The Provence”. But if he or she is a fellow “Mizer,” she would say the Languedoc. “Mizers” don’t just know value. They know quality wine at value prices, and the Languedoc has been offering both in the same bottles for years. Adding to the mystery of this underappreciated region is that the Laqnguedoc does not produce only white wine, or red wine, or only sparkling wine – but produces delicious wines at value across the spectrum. Too bad there are not more “Mizers.” Then again, maybe that’s good for us because a sudden increase in demand could result in price increases. I enjoyed tasting the wines of Jean-Claude Mas, vineyard owner and winemaker in France’s Languedoc region. Despite being a promoter of Languedoc wines for years, tasting some Paul Mas’ wines (those sent me for review and later at a tasting in Chicago) I was reassured that I have been on a good mission over the years promoting these wines. Today, we’ll talk about what the French themselves so love: Sparking Wine. a second fermentation takes place in the bottle. It cannot be called Champagne because it is not made within the district of Champagne. 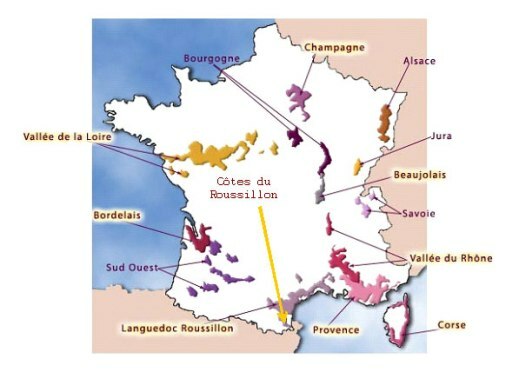 But neither is Cremant d’Alsace (another area within France), or anywhere else whether in France or not. So trust your impression to your own taste buds. I found this sparkling wine to be one of the most enjoyable I’ve tasted in years. Pale straw in the glass with just the slightest tinge of rose, I enjoyed an aromatic hint of butterscotch that evolved into notes of fresh baked brioche and wet stone. The mousse (bubbles) were fine and persistent and contributed to the wine’s rich, creamy texture in the mouth. But it all comes to taste eventually and here this wine scores top rankings also: Almond, fresh picked strawberry, white flowers and a hint of unripe white peach. I continued tasting the next day and was delighted with how the wine continued to evolve: the nose developed candied white peach and notes of fresh peeled orange along with fresh baked sour dough bread with flavors of butterscotched lemon drops as the wine warmed within the glass. 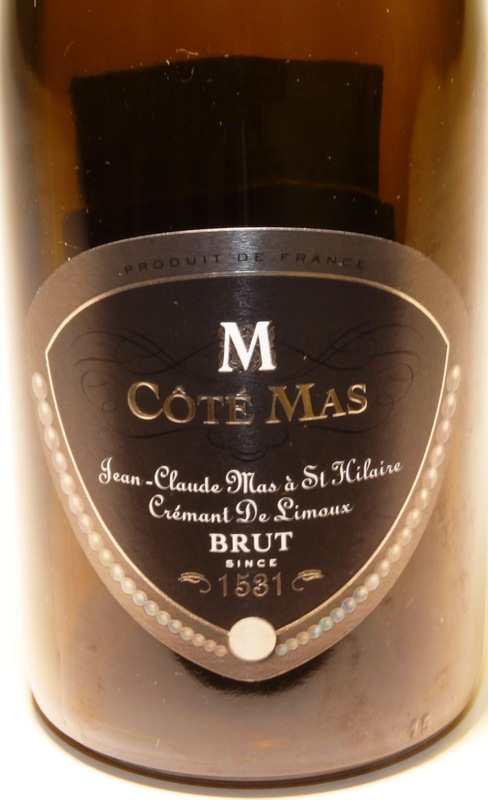 Cote Mas Cremant de Limoux Rose Brut NV St. Hilaire. A Brut Rose (70% Chardonnay, 20% Chenin Blanc, 10% Pinot Noir). Perhaps I was won over by Chardonnay being dominant in the blend (I usually don’t get so excited by rose. It’s just a personal preference thing, not a judgement). But even going in with the expectation that I wouldn’t like it, I did! Bright and zesty with a delightful flavor of strawberry in an amazingly long finish. Aromas of peach and apricot delight the nose before flavors reward taste buds. This is not a shorter description due to my not liking the wine. As with the non-rose, it is made in the traditional Methode Champenoise and with the second fermentation, in the bottle, also taking three weeks. Au contrair. Consider it an endorsement knowing how I feel about roses and not doing a literal “blind tasting.” That I liked this wine so much surprised me. Since taking charge in 2000 of the centuries-old Domaines Paul Mas, Jean-Claude Mas has committed himself to producing only superior wines from premium quality grapes. Judging by this tasting, I’d say he has succeeded on both counts. That these wines have a suggested retail price of under $20 impresses me even more. Truth be told, I’ve had fun with these sparkling wines and enjoyed them more than I have with some pricier Champagnes from Reims, France. With the holidays approaching, why not welcome them with a sparkling wine you’ll actually enjoy tasting when your toast? · Follow Wine Mizer on FaceBook for mini-reviews, recipes, fun facts and more.